It's time for the next big adventure in your teenager's life... off to college! 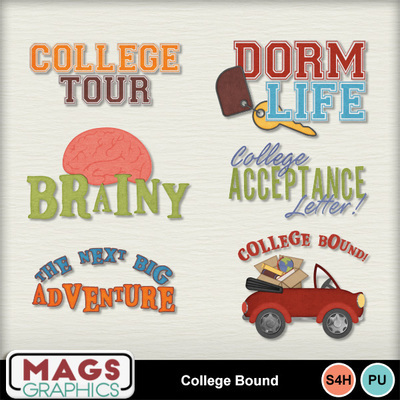 Whether they go Ivy League, State School, Tech Institute, or right to work, this COLLEGE BOUND collection has everything you'll need for the post-high school years. This is the WORD ART Pack. It contains 6 word art / titles.